FLIR i7 Thermal Imaging Camera with IR Point Shoot and Detect. A Flir i7 Infrared Camera is a powerful predictive maintenance tool. In many instances equipment failure is preceded by a period of increasing heat. A Flir i7 thermal imaging camera is also an excellent building inspection instrument, it quickly scans and identifies problem areas that can't be seen by the naked eye. Many businesses use the Flir i7 for repair verification and insurance purposes. As a valuable diagnostic equipment, an infrared camera can help find extreme hot or cold areas in components that cannot be seen by the human eye. The FLIR i7 thermal camera is the ideal tool to perform this role. 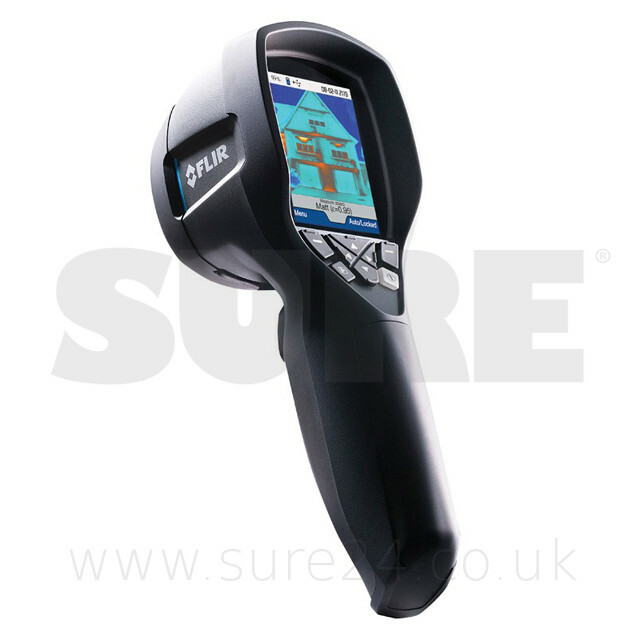 Create professional inspection reports using the FLIR Quick Report software included with this Flir i7 Thermal Imaging Camera, you are able to create professional inspection reports containing all of the images and important information obtained from your thermal imaging.